What's your March Challenge? Will you succeed? I failed in February and am determined to succeed in March. I was a bit too confident in February, so I'm not predicting success just yet! Time will tell. Here's my challenge... what's yours? Do you think you can do it? 2660 exercise minutes. 85:48 per day. I averaged 90/day in February, so, a pretty good chance. My challenge is 209.9 miles, which averages out to 6.77 per day. I should be able to do that. To the gym it is! I forget how many exercise minutes, averages to 34 minutes a day though. No problem. 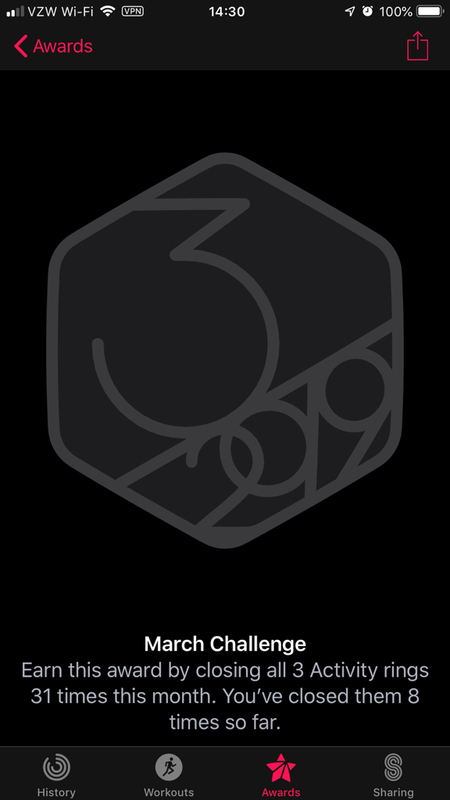 Mine is close all 3 activity rings 30 times this month. Easy cheesy lemon squeezy! Hooray I finally get a break after my challenge last month!! I'm so glad! I was wondering what you were going to get! @Annie_8plus I'm glad too but I have a feeling some other ridiculous challenge is in my future! Probably... they're giving you a break! LOL! 34 times 31. It’s like 34 Plus 1020. 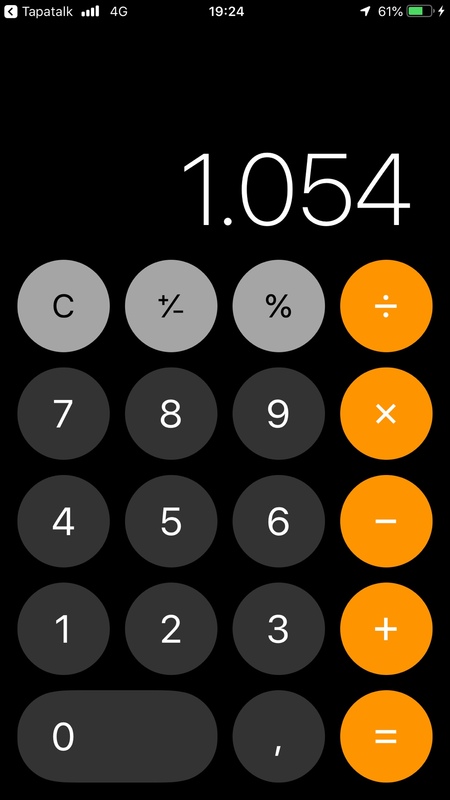 It’s 1054 minutes, if my calculation is correct. One thing that occurred to me is that February is the shortest month. At least we have 3 additional days to conquer our challenges! Annie, yours sounds pretty tough! Mine is to close all 3 activity rings every day of the month. That will be easy. It's been a least of couple of years since I missed closing all 3.
ksassy and Annie_8plus like this. Apple clearly knows how much time I spend on a bicycle and at a computer vs running. I got poked at to run more. The bicycle and IT work create a combo of much calorie burn but not so much walking or running. 16,800 calories which averages out to about 541 a day. As long as I hit my goal of 600 and close my move ring I’m good. I walk 10 miles a day at work so I will have no problem completing this. Finished the February challenge my goal was 700 exercise minutes for the month. For March,I have to do 9 15 minute workouts. I’m pretty sure I can make that happen. Just 3 more to go! 4 of 13 in on closing the Move ring. I’ve got a long way to go, but I’m determined to make it! Which RAM can you use in the 2018 Mac Mini? What Does the Fitbit Zip Do?